A rather light-hearted sign-off from Rhode Island's second-oldest TV station and current CBS Network station back during the time when it was a full-time ABC network affiliate (1977-1995). The slogan "We're With You on Channel 12" is a localized version of the slogan ABC was using during the 1984-85 season. The video features all kinds of cultural and recreational activities, demonstrating how much fun folks could have with styrofoam Channel 12 logos of various sizes.  WPRI-TV had a previous stint as a CBS station from 1955 to 1977, many of those years as WPRO-TV (it also had a secondary affiliation with ABC from 1955 to 1963).